Do you struggle with being a Christian who loves Jesus BUT still suffers with depression? If so, STOP RIGHT NOW and listen to today’s Better Together podcast! Melissa Maimone is a Christian speaker and writer who teaches women that an authentic life in Christ can be messy and magnificent at the exact same time. With her unique blend of theology, humor and insight, Melissa provides down-to-earth lessons, practical applications, and life-changing perspectives to real women who are living real lives in the midst of real problems. Using scripture, art, storytelling and lessons from her own battle with depression, Melissa demonstrates that the light of JOY can be found even in dark places. Friends, I LOVED my conversation with Melissa because we’re talk about depression, mental health and how to live WELL in hard times. So, so good! 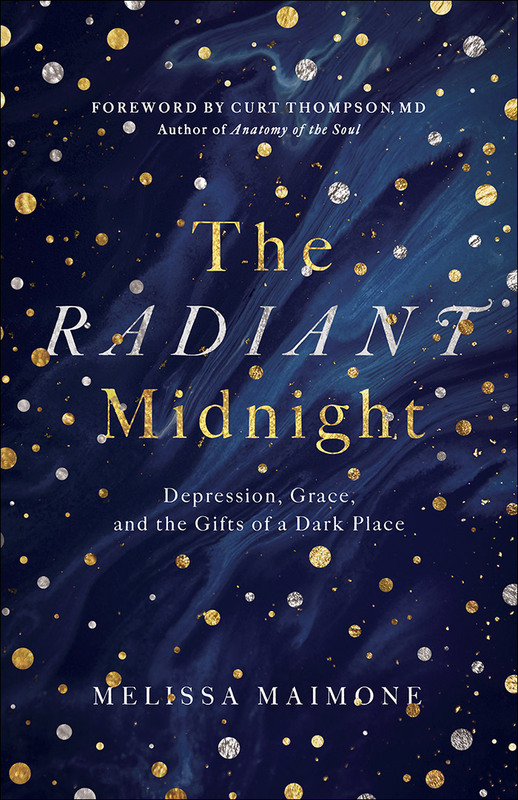 And I’ve read and proudly endorsed her new book, The Radiant Midnight: Depression, Grace and the Gifts of a Dark Place. It’s a must-now read if you’ve struggled with depression or just being in a hard place in life. 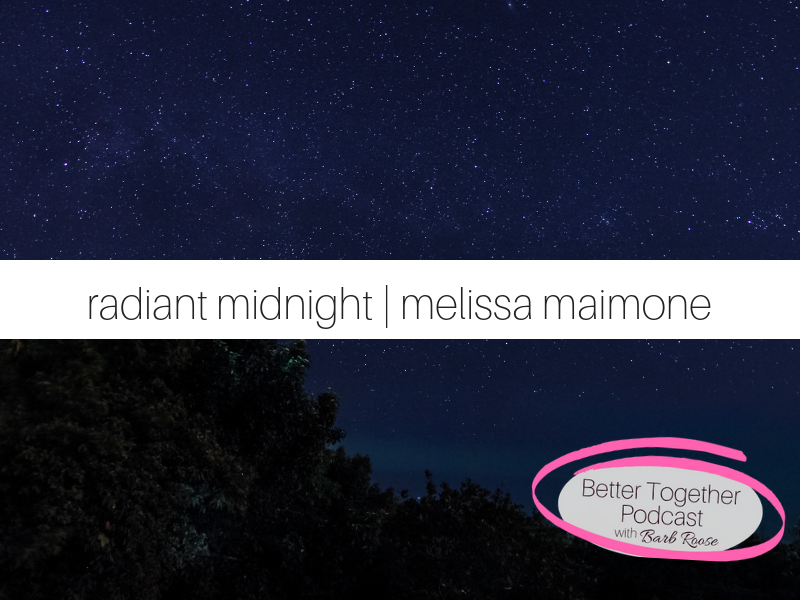 Melissa shows us how God brings beauty and grace into the darkness of Midnight; sometimes we just need someone who has been there too helpus discover it. That God isn’t waiting for us to get it together. That there is no darkness too dark for God. That the purpose of suffering isn’t simply to get out of it. That we can have Joy in the midst of difficulty. Melissa Maimone is a Christian speaker and writer who teaches women that an authentic life in Christ can be messy and magnificent at the exact same time. With her unique blend of theology, humor, and insight, Melissa provides down-to-earth lessons, practical applications, and life-changing perspectives to real women who are living real lives in the midst of real problems.